Furthur proof that Doctor Who monsters from the 70's were verry cheesy. Not that any more proof of that was needed, but I had to put this silly pic of Aggedor, a supposedly frightening monster, somewhere. 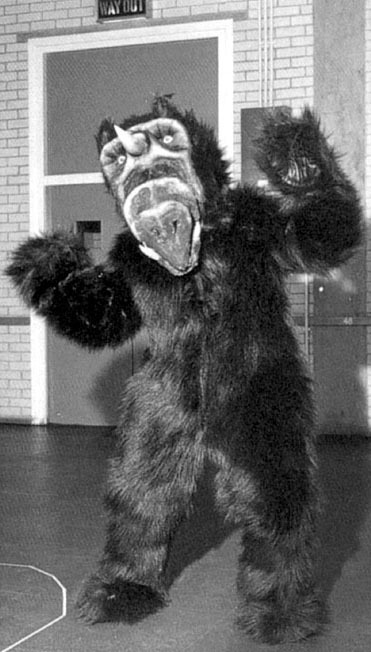 Heh, looks more like some derranged furry who started with an ape suit, crossbred it with ALF and stuck a rhino horn on for good measure... a Deranged Furry anyway on a wild debauched yiffing streak no doubt. Ok... I think I'm gonna have bad dreams now...Zarbi shagging Vervoids... AGHHHHHH!!!! !